Home » Gaming » Of Dice and Men: "A Geek Movie Without the Self-loathing"
Of Dice and Men: "A Geek Movie Without the Self-loathing"
The full-length movie based on the play by Cameron McNary screened last weekend at GenCon and will run this weekend at DragonCon in Atlanta. The movie follows a group of people – who also happen to play D&D. And for once gaming and being a nerd isn’t the punch line. 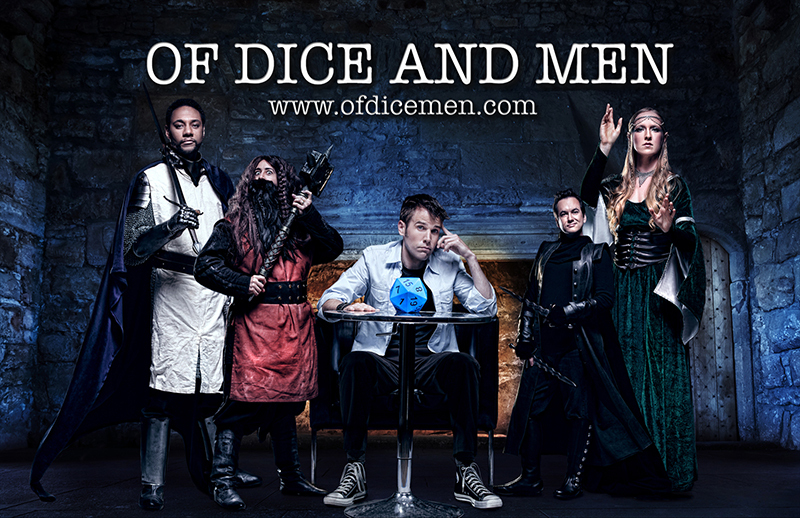 For updates and awesome swag you can follow the film makers Twitter: @OfDiceAndMenTheMovie and for more screening events and more information about the cast & crew and to watch the trailer check out their trailer below. “Goldberry Riverdaughter” has been her friends’ and families’ resident book nerd since reading the Tao of Pooh at age eight. Since then her literary exploration has lead her straight to Lord of the Rings where she’s made her home. In addition to a staff reporter for Legendarium, she also runs Hells Hobbits. She has a degree in History, as well as a new-found penchant for disassembling literary canon. She lives with her equally nerdy husband and two gigantic cats enjoying table top games & cosplay.